Star Trek: Discovery Shocker: Who's Out? Star Trek: Discovery is losing its captain. 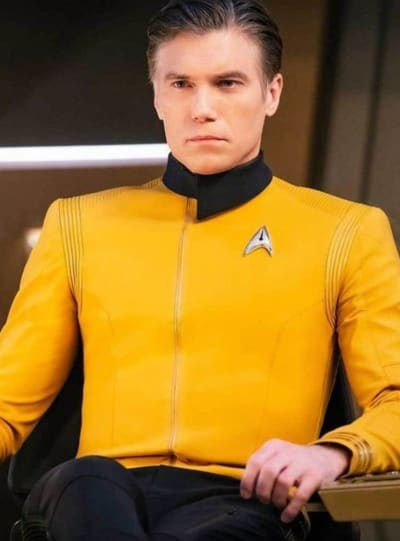 Deadline has confirmed that Anson Mount is bowing out of the CBS All Access drama after on season in the role of Captain Christopher Pike. 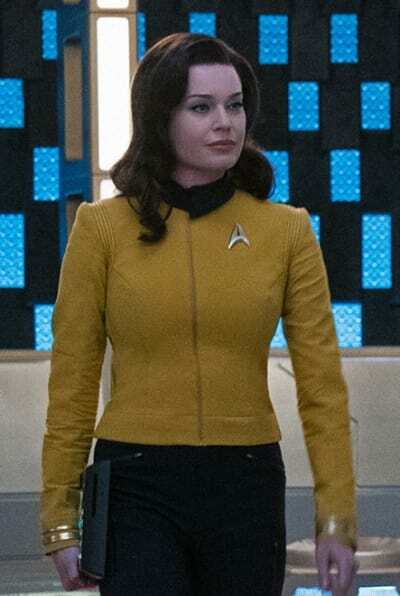 Additionally, Rebecca Romijn is also saying goodbye after one season as Pike's shipmate Number One. Deadline states that both Mount and Romjin signed one year deals "as part of a plan to sync up Discovery with the original Star Trek lore by the end of Season two." 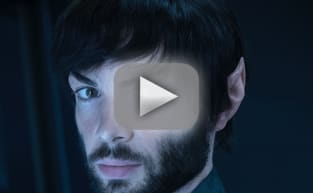 Given these cast changes, the jury is still out on Ethan Peck who plays Spock. It has yet to be confirmed whether or not Peck will be back for the recently announced third season of the hit drama series. With the series catching up to the original series by the close of Star Trek: Discovery Season 2, it sure sounds like Pike's exit will match up with the Star Trek lore. Pike appeared in just one episode of that series, and wound up paralyzed, disfigured and mute. 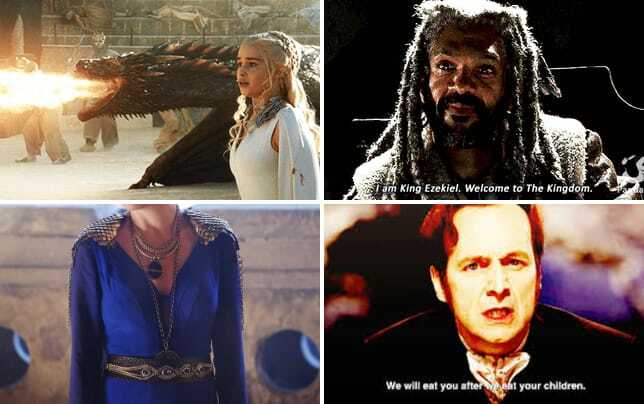 It will be upsetting for viewers that love the character. "This season we get inside his character in a way that we we didn't get to do in the films," Discovery showrunner Alex Kurtzman told Deadline back in in January. "And the fact that we will synchronize with canon by the end of this season, that means we may see shades of where we all know Pike will end up." There's no telling how the CBS All Access series will play out in Season 3. When Star Trek: Discovery Season 1 debuted, the action took place 10 years before the original series kicked off. If the producers are planning for the show to catch up, it could mean some other characters from the OG series could pop up down the line. The series was renewed last month, with Michelle Paradise set as the new showrunner alongside Alex Kurtzman. Star Trek: Discovery airs Thursdays on CBS All Access. What happened before no longer exists. What will happen next has not yet been written. We have only now. That is our greatest advantage. What we do now, here, in this moment has the power to determine the future. Instinct and logic, together. That is how we will defeat Control in the battle to come. We will find a way. All of history can change with our next move. The present is a veil between anticipation and horror. Lift the veil and madness may follow. Permalink: The present is a veil between anticipation and horror. Lift the veil and madness may follow. Star Trek Short Treks: New Details Emerge! Star Trek Discovery Season 2: First Look!